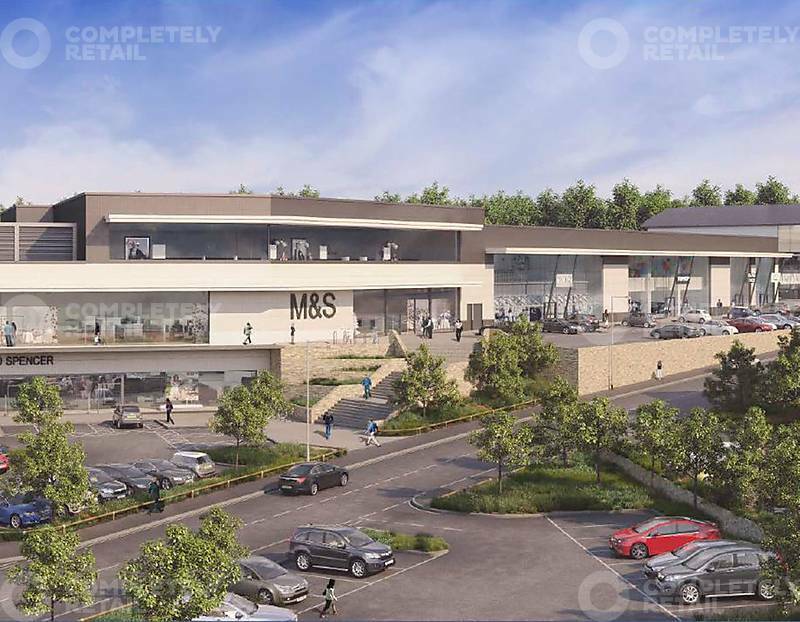 Kingsley Village Shopping Park is a new open A1 development with tenants including a full M&S General Merchandise store, Next, TK Maxx, Mountain Warehouse, Starbucks, McDonalds and a Brewers Fayre. The scheme is located off the A30 at Fraddon..
A1 – Open – food & non food. 7,500 sq ft with mezzanine to let as a whole or sub-divided.